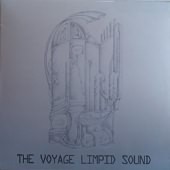 Soundflat writes: Behind the Voyage Limpid Sound stands a 19 year old Greek -an original psychedelic talent- who writes, plays and records his songs in his father�s studio. Musically he is close to the British psychedelic groups of the 60�s and mostly to the first records of Pink Floyd, while the accords of his vocals are influenced by the psych/pop era of the Beach Boys. album-then you�ll know why!The song "Shades of the sky" is a fave!! I know the artist personally but I�m not lying when I say that this album is disturbingly good! As other reviewers have said, Pink Floyd and the Beach Boys can be heard in his music, but I�d like to add David Bowie to that list!